Magna Carta. London: Richard Pynson, 1514. 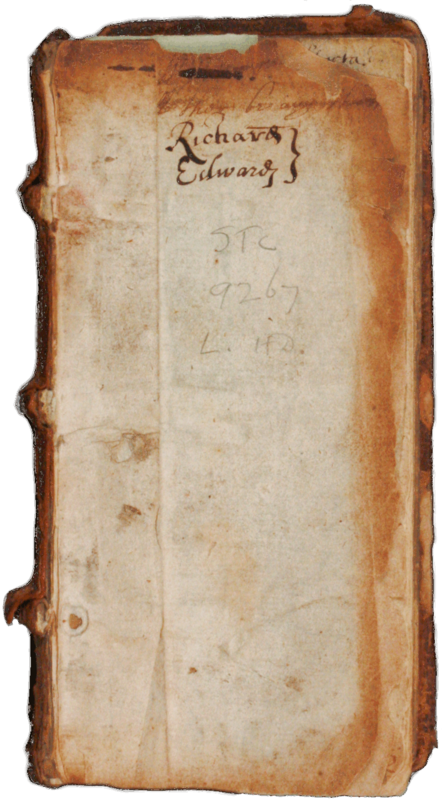 The Law Library's earliest copy of Magna Carta is the second printed edition, produced by Richard Pynson (c.1449-1529/30). A native of Normandy, Pynson is credited with introducing Roman type into England in 1509, a year after he printed the first edition of Magna Carta. Pynson served as king's printer, issuing statute law from 1510 and producing 139 editions of law books in all. He was the earliest of the major English law printers, rivalled only by his contemporary Robert Redman and surpassed later in the sixteenth century by Richard Tottell. In our volume, the name of a likely early owner, "Richard Edwards," appears clearly in two places, and notation covers an inserted leaf. There is no title page, but the legal texts are prefaced by a calendar printed in red and black. Two drawings are also notable. The royal English coat of arms is partially traced on blank leaves, and the rear cover features another drawing, of an animal resembling a wolf. 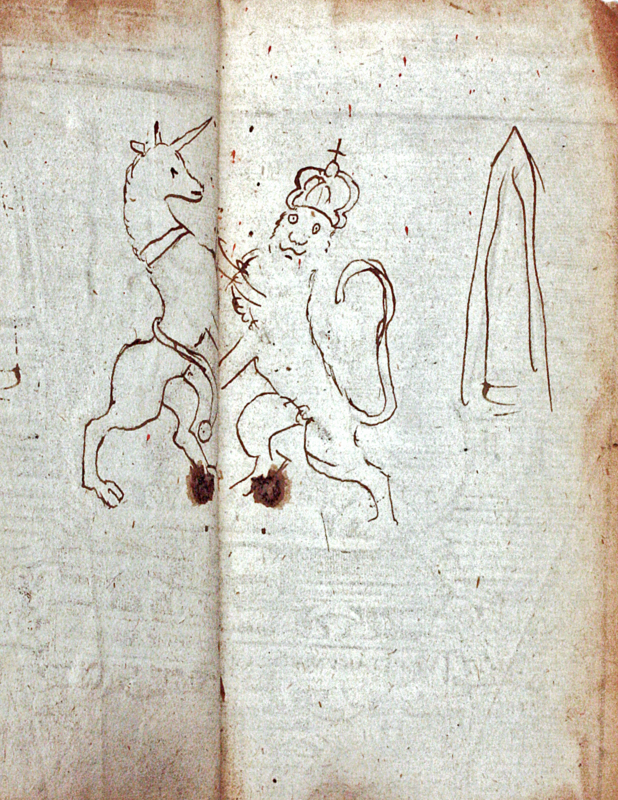 The drawings may be testimony to the book's use by early students. According to the English Short Title Catalogue, the University of Minnesota Law Library owns one of three editions in North America. 1. 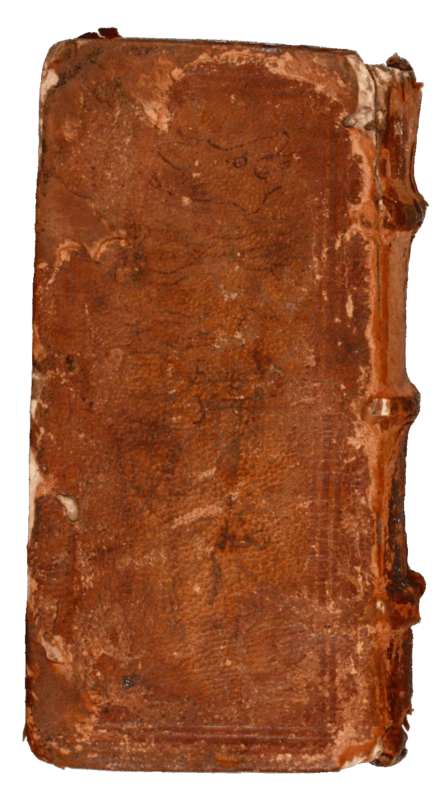 Joseph Beale, A Bibliography of Early English Law Books (Cambridge: Harvard University Press, 1926), 3. 2. A Short-Title Catalogue of Books Printed in England, Scotland, & Ireland and of English Books Printed Abroad, 1475-1640. 2nd ed. (London: Bibliographical Society, 1976-1991).